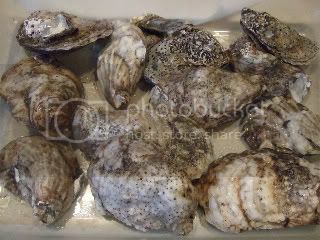 I am looking for sources for fresh oysters in the Western Suburbs near Burr Ridge. I really dont feel like traveling into the city or very far north to get some. Right now Whole Foods seems like the place to go as Naperville, and Villa Park really take me away from my typical route home. Anyone else got any tips on sources for good, fresh oysters in the West/SW Suburbs? Last edited by jimswside on April 23rd, 2010, 11:45 am, edited 2 times in total. For sure check out Burhop's. Not sure on the price might have to call them. Check web site for a 10% off coupon. Good source for stone crab claws too when they have em. Cbot wrote: For sure check out Burhop's. Not sure on the price might have to call them. I am looking for oysters for use home though. plus they have a coupon on their website, might just be a little further east than I want to go on a Friday. other than burhops(thanks cbot) I guess I already knew of all the places to get fresh oysters in the western suburbs, thanks for all the tips & help though. Whole Foods it will be for the oysters, I havent been in a WF in at least a year(way too expensive), but am kind of looking forward to taking a look around(with a tight grip on my wallet). Their produce is always impressive so I might grab up a few things I need in addition to the Blue Points. 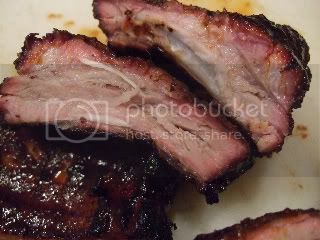 I did almost choke/laugh yesterday when I was talking to the guy in the WF meat dept., I was thinking about getting some bb's there to save a second stop, that was until I hear their price on bb ribs...$9.99/lb... however they go on sale today for $5.99/lb. either way no chance Im buyin them there. Whole Foods has a reputation for being very expensive. 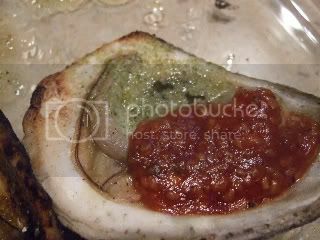 The truth is that they are very expensive for some things, but quite cheap for others (as you discovered with the oysters). Their meat is expensive, but it is also hormone-free and all that. Some people are willing to pay extra for this. Their fish tends to be expensive, but on the same level as places like Burhops, The Fish Guy, and Dirk's, but WF has a lot of sales on fish. I tend to find pantry staples to generally be well-priced. Last edited by Darren72 on April 23rd, 2010, 9:01 am, edited 1 time in total. Darren72 wrote: Whole Foods has a reputation for being very expensive. The truth is that they are very expensive for some things, but quite cheap for others (as you discovered with the oysters). Their meat is expensive, but it is also hormone-free and all that. Some people are willing to pay extra for this. Their fish is fish tends to be expensive, but on the same level as places like Burhops, The Fish Guy, and Dirk's, but WF has a lot of sales on fish. I tend to find pantry staples to generally be well-priced. They were my second choice for oysters, a little more expensive than Supreme Lobster, but alot closer, but based on WF reputation I have no second thoughts about getting the oysters from them. The price on the pork is what it is, & thats all good, its just out of my budget with how much pork I smoke/eat. Ill probably hit Brookhaven over in Darien on my way west for some pork or a beef roast to smoke. got my Blue Points yesterday @ WF, about $10 for the dozen. gonna grill these in the shell, add my garlic butter, and maybe do half with my korean bbq sauce, and half with another of my sauces. Also got some of those expensive WF BB ribs as well. $5.99/lb was better than making another stop on the way home. Sounds good. I may try some myself. Jim, where do you usually buy your ribs? I'm out in Naperville, the general area that you do some of your shopping. Jean Blanchard wrote: Sounds good. I may try some myself. Jim, where do you usually buy your ribs? I'm out in Naperville, the general area that you do some of your shopping. thanks, im looking forward to dinner. In Naperville, I like Caputo's. I only buy the un-enhanced, fresh ribs. Some cryo-ribs are unenhanced, I just have to read the labels real carefully. I'm headed to Caputo's today. I think I'll give them a try. WF's expensive ribs were just ok, nothing earth shaterring(they were good, but not extra porky, etc), not worth $5.99/lb, and no way are they worth $9.99/lb. imho. Ill stick with my usual sources for ribs for sure. my bad, I never posted the pics of the squeal portion of this meal. 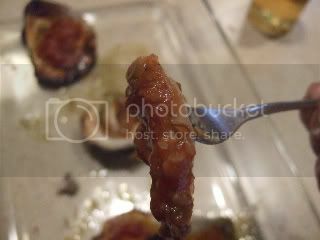 but keep in mind those were my homemade bbq sauces(pineapple, and korean) which worked alot better than some store bought bbq sauce. If I wasnt so lazy Id shuck a few and wolf them down raw.